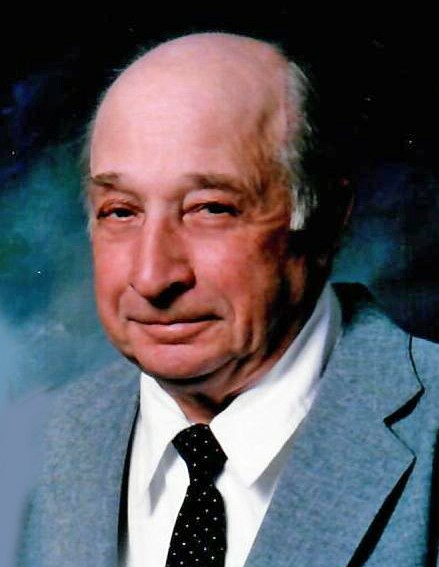 Robert “Bob” John Otto, age 92, of Menasha passed away on Friday, February 1, 2019 at Saint Paul Elder Services in Kaukauna. Bob was born on December 29, 1926 to the late Edward and Elsie (Wolf) Otto. He married the late Noreen Phillips on August 27, 1952 at Holy Cross Church in Kaukauna. Bob was a fourth-generation dairy farmer who owned and operated the family farm where he was born and raised. Bob enjoyed playing cards, shooting the breeze, and entertaining company. Bob is survived by his children: Michael (Patricia) Otto of Kalamazoo, MI, Dr. Kathryn (Dr. Thomas Whitten) Otto of Glenwood City, WI, Amy (David) Manke of Madison; 10 grandchildren: Jessica, Mara, and Luke (Janell) Whitten, Elizabeth (Blaise) Hamel and Melinda (Michael) Kantola, Sara (Justin) Mistretta, Nicole and MacKenzie Boettcher, and Lauren, Jared, and Kaitlin Manke; great grandchildren: Cayden Boettcher and Kinsley Laack; daughter-in-law Peggy Otto of Cross Plains; sisters Mary Gerrits and Patricia Kools; brother-in-law James (Gerri) Phillips; his beloved cat Kenny; and many nieces, nephews, other relatives and friends. He was preceded in death by his parents; his wife Noreen; his son Phillip Otto; his daughter Lisa Boettcher; his brother Raymond Otto; and his sisters Rita Otto and Lorraine Van Grinsven. A Mass of Resurrection will be celebrated at 11 a.m. on Friday, February 8, 2019 at SAINT JOHN SACRED HEART PARISH, N369 Military Rd, Sherwood, with Fr. Michael Bentley officiating. Friends may visit directly at church on Friday from 9 a.m. until the time of service. Interment will take place at Holy Cross Cemetery, Kaukauna. In lieu of flowers, a memorial fund has been established. The family would like to extend a special thank you to the staff of St. Paul Elder Services for the care and compassion they showed Bob and his family.